In late 2014, I traveled crosstown from our Palermo apartment to San Telmo’s Svenska Kyrkan (pictured above), where the Scandinavian communities of Buenos Aires—Swedes, Norwegians and Finns—were holding their annual Xmas festival. I’m not religious—to say the least—but I was still curious about this gathering of the Vikings in what, on the face of it, is an improbable urban environment. 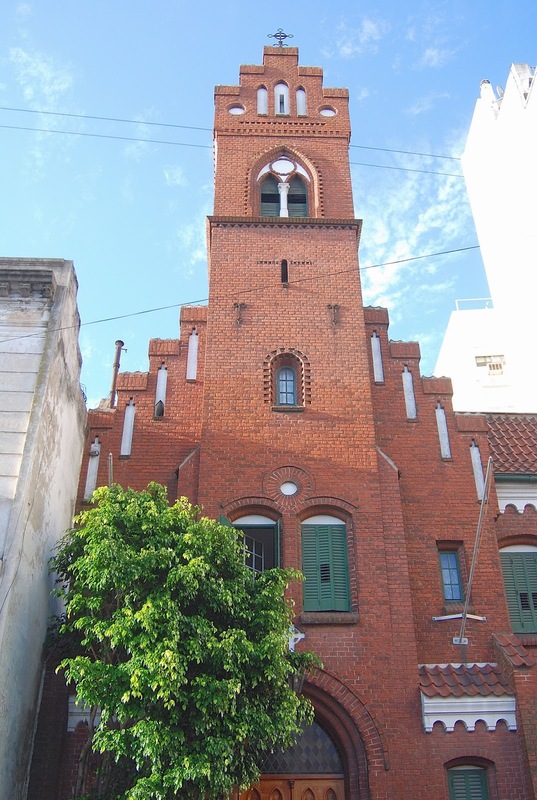 San Telmo's Dansk Kirke is Buenos Aires's Danish church. To the best of my memory, the Danes were absent from the event, though there’s a separate Danish church just a few blocks away and lunches at Retiro’s Club Danés are a delight. In the Buenos Aires province beach resort of Necochea, it’s common to see cars with Argentine plates and “DK” decals, but here I recall nothing. 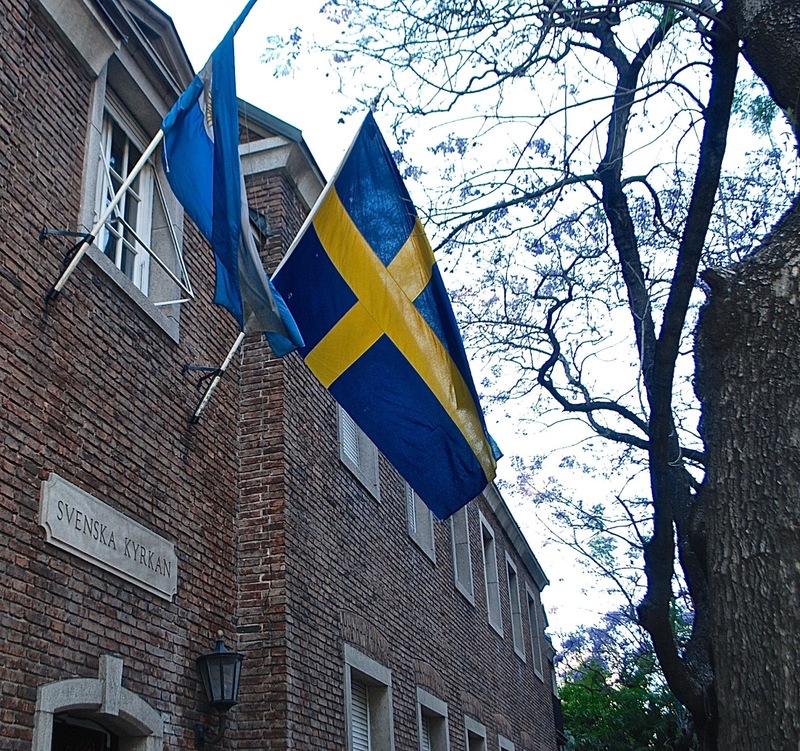 Flags of Finland, Norway and Sweden hung from the ceiling at the Svenska Kyrkan. 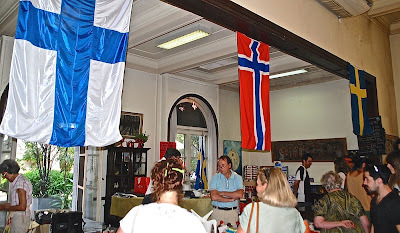 All throughout the building and the grounds there were Scandinavian delicacies, along with souvenir items—some of them brought by the countries’ respective embassies because, at that time, arcane import restrictions effectively kept private parties from acquiring them. 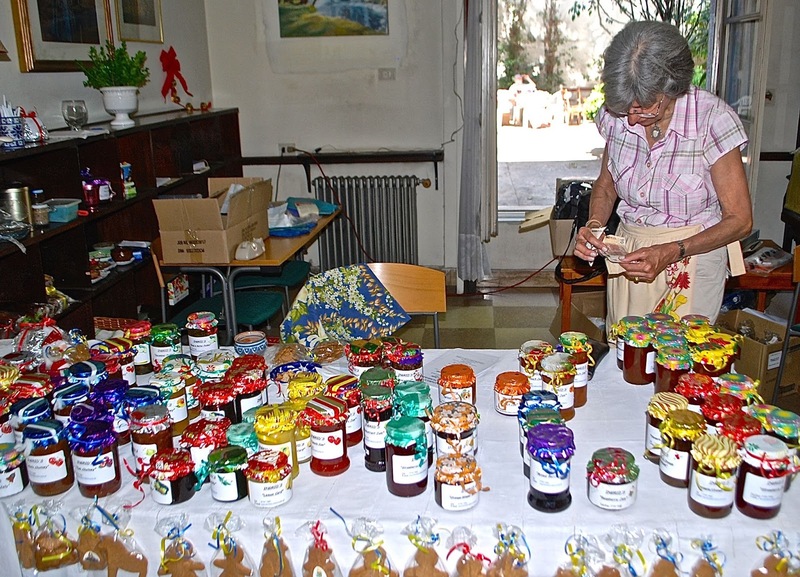 Most of the baked goods were local, but almost everything produced overseas had to enter by extra-official channels. 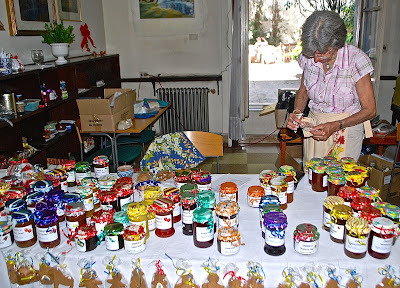 Many of the manufactured foodstuffs arrived through embassy intercession. 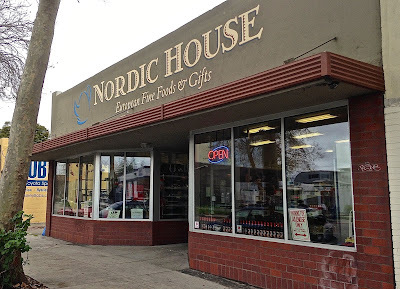 That’s not the case in Berkeley, adjacent to my hometown of Oakland, where the Nordic House specialty shop imports all sorts of Scandinavian food items and even carries a selection of Nordic noir novels (mainly in English) and travel guidebooks. 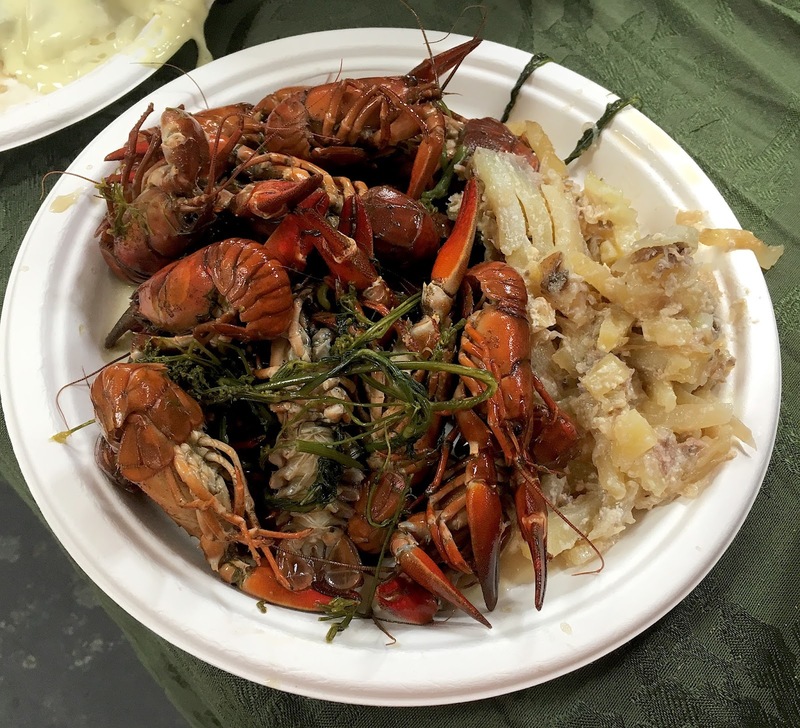 On Saturday, though, Nordic House hosted my first-ever kräftskiva, at which Swedes and other Scandinavians devour plates of boiled crayfish and slug down shots of akvavit, with a shout of “Skål!” at the end of boisterous drinking songs. Berkeley's Nordic House carries a diversity of Scandinavian supplies. In honesty, I didn’t find the crayfish especially appetizing (it doesn’t help that they make a messy meal), though almost everyone else devoured as much as they could grab. 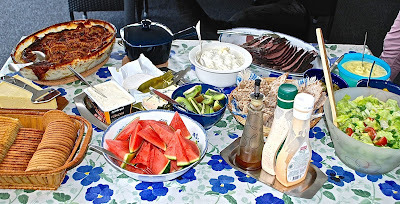 Nor did the various herrings and other specialties thrill me—I much preferred the roast moose, scalloped potatoes (identical to what my Swedish-American mother used to make) and other side dishes that my Swedish cousins served us in rural Värmland. Still, my only real complaint about Nordic House is that they’ve run out of Hungry Troll lefse (my Norwegian grandmother used to make this), but I’m told it’ll be back next month. August is a slow time of the year, when I start to think about returning to South America but am not really doing much about it. 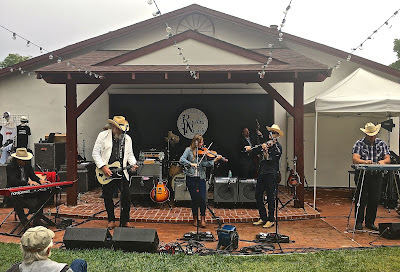 My wife María Laura, though, has been visiting family in Argentina and, this past weekend, I left the house for the roadhouse—that is, to Marin County’s Rancho Nicasio for the annual outdoor “barbecue on the lawn” performance by Asleep at the Wheel. In rural west Marin, but only 35 miles from my home in Oakland, the village of Nicasio feels remote from the rest of the metropolitan Bay Area. At one time, businessmen bargained for cattle and timber here, and Rancho Nicasio is a reminder of the roadhouse hotel—destroyed by fire in 1940—where they once stayed. 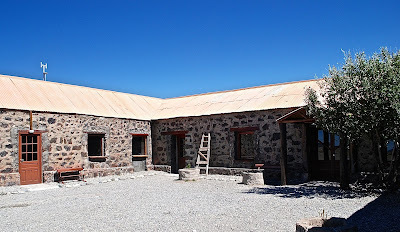 Though I wouldn’t want to exaggerate the comparison, it also reminds me of the Patagonian roadhouses along Argentina’s legendary RN 40—the counterpart to Route 66 that Asleep always sings about (many other artists, of course, also perform this standard). 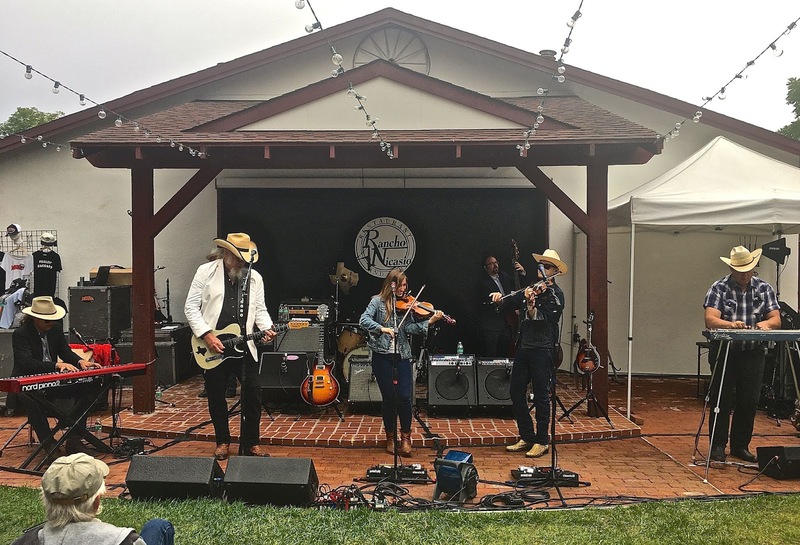 Over the years, my wife has embraced bandleader Ray Benson’s traditional western swing, though the band’s other personnel has changed over time (only Ray remains from the band I first saw at Berkeley’s legendary Longbranch Saloon in 1972). 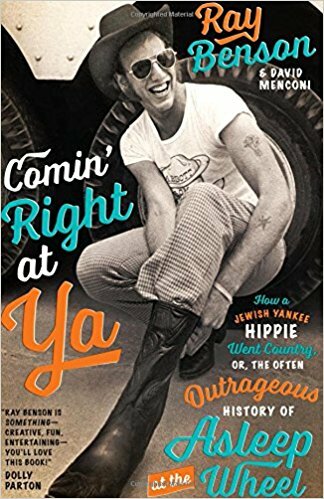 The band’s story is available in Benson’s memoir/autobiography Comin’ Right at Ya, which includes a period of residence in my longtime hometown. 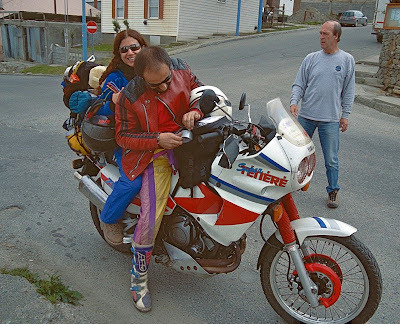 Javier Jury of Ushuaia didn't arrive on his motorbike, but he did get to see Asleep at the Wheel at Rancho Nicasio. We’ve even taken Argentine friends to enjoy the afternoon, such as my friend Javier Jury of Ushuaia’s Martín Fierro B&B, at the southern end of “La Cuarenta.” Most of the highway’s roadhouses, though, are on the thinly populated stretch between El Calafate (in the south) and the northern Santa Cruz province town of Perito Moreno (to the north)—a section of highway where, when I drove it in the early 1990s, I saw only four vehicles in three days. At that time it was almost entirely gravel, but now it’s nearly completely paved. 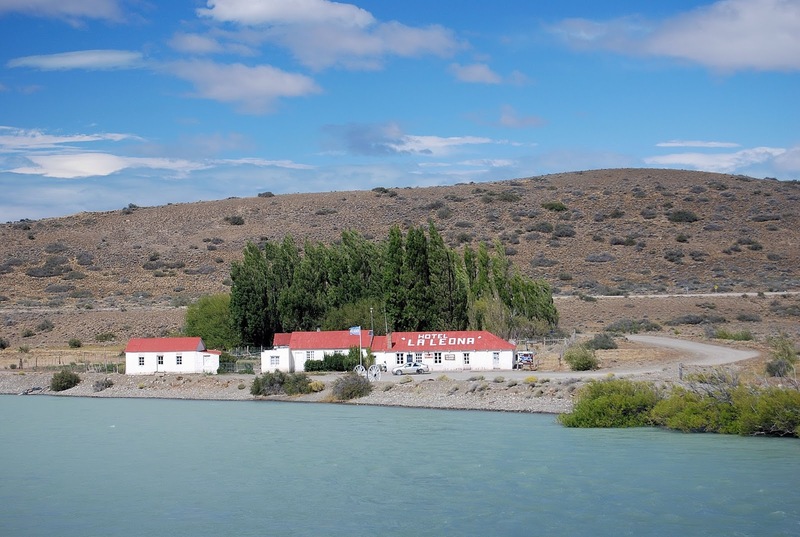 Hotel La Leona is probably the most visited of Patagonia's roadhouses. Again, I don’t want to take the Rancho Nicasio comparison too far. After all, the roadhouses along “La Cuarenta” can’t offer western swing, but they are undergoing something of a renaissance—the riverside Hotel La Leona, for instance, has become a popular stop along the highway from El Calafate to Argentina’s “Trekking Capital” of El Chaltén. 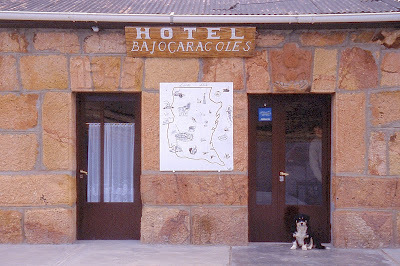 Farther north, west of Gobernador Gregores and near the turnoff to Parque Nacional Perito Moreno, the rejuvenated Hotel Las Horquetas is worth a stop or even an overnight. Closed for many years, Hotel Las Horquetas has reopened to offer accommodations and food on one of the most remote segments of Patagonia's RN40. 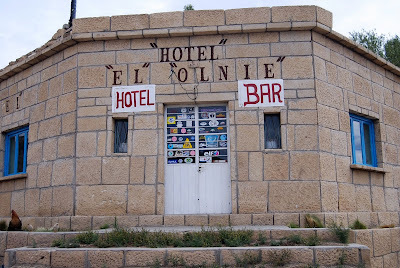 Hotel El Olnie, sadly, is now closed. 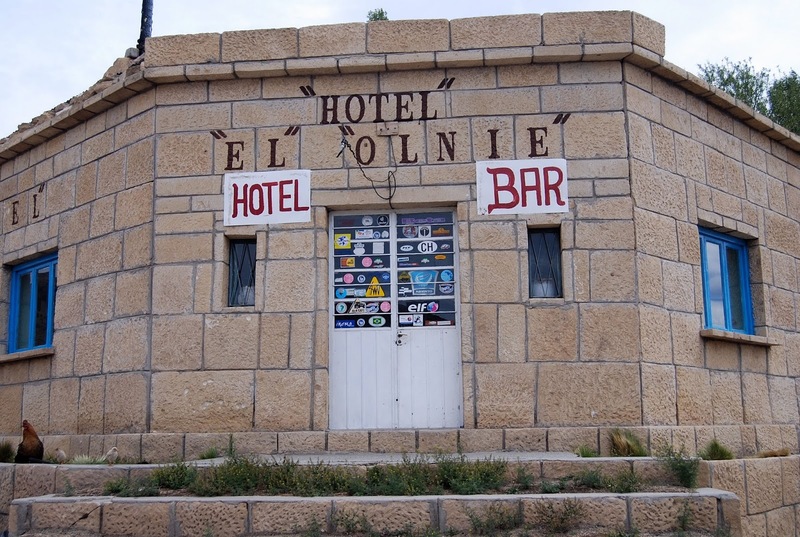 Farther north, the Hotel El Olnie, now closed, offered the ambience of a place where gauchos once congregated for drinks. The granddaddy of them, all, though, is the Hotel Bajo Caracoles, close to the UNESCO World Heritage Site of Cueva de las Manos. At Bajo Caracoles, lines of southbound buses, cars and motorcycles often queue in hope that the weekly fuel supply will arrive—by the most direct route, it’s several hundred km to the next gas station, at Tres Lagos. Northbound vehicles can usually make it to the town of Perito Moreno. 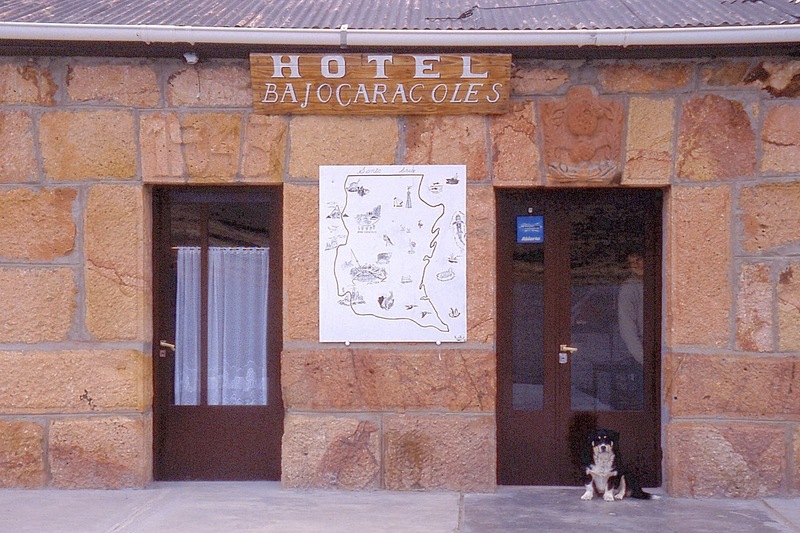 Hotel Bajo Caracoles is a landmark roadhouse in northern Santa Cruz province. In 1979, when I first visited Argentina, my Spanish was basic, and the country was in the depths of its worst dictatorship ever—one that “disappeared” and executed many thousands of its opponents. I was also naïve, but my own experiences in a brief visit to Patagonia and Tierra del Fuego unnerved me despite the country’s stunning natural landscapes. I doubted whether I’d ever return but then, two years later in Bolivia, I met the Argentine woman who would become my wife. 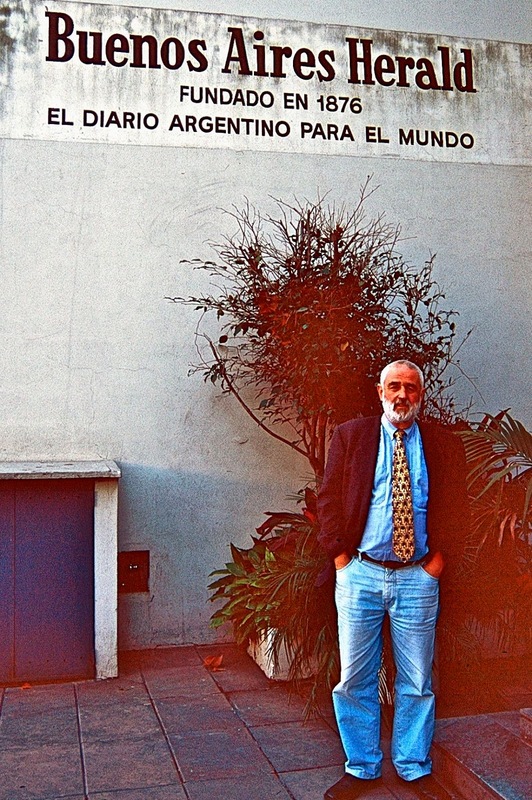 A couple months after we parted in Chile, where I was researching my M.A. thesis on llama/alpaca pastoralism in Parque Nacional Lauca, I made my first visit to Buenos Aires, where she was studying literature. Robert Cox (left) with Australian filmmaker Jayson McNamara, who shot a documentary about the Herald, in Cox's Buenos Aires apartment. 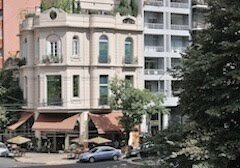 By that time, my Spanish had improved considerably, but I got to know the city and country partly through its venerable English-language daily, the Buenos Aires Herald. While the Herald’s relatively small staff could not match the broader coverage of high-circulation dailies like Clarín and La Nación, it had gained an international reputation by publicly reporting on the military junta’s record of brutality and repression (the Spanish-language dailies almost ignored those atrocities). That made its staff, such as editor Robert Cox and news editor Andrew Graham-Yooll, the target of threats against themselves and their families, and both had to go into exile. Even after the dictatorship ended, I continued to rely on the Herald as an essential digest of Argentine news. On visits to my wife’s provincial hometown of Olavarría, in the Pampas, the local newsagent would reserve me a copy and my late father-in-law—who barely recognized a word in English—would devour the Spanish-language version of its editorials. 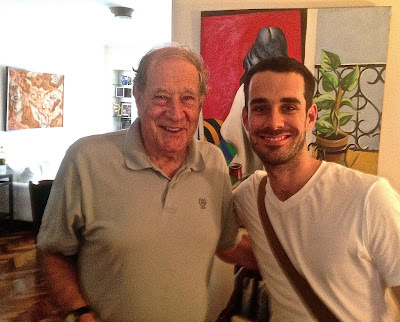 Later, as I spent more three decades traveling in the country, I got to meet the heroic Cox and Graham-Yooll, and other Anglo-Argentine legends such as food writer Dereck Foster and senior editor Michael Soltys. I've also written for the paper on occasion, on topics such as Argentina's now discontinued tourism reciprocity fee and the Falkland/Malvinas Islands (for which, in one reader's letter, I was accused of being a CIA agent). In recent years, the Herald had lost much of its critical edge, and also its readership as it went from a daily to a weekly. It finally closed its doors this week—sadly, without so much as a farewell edition. The best summary I’ve read in English comes from The Economist, which notes (and I agree) that online publications like The Bubble may pick up some of the slack. My own generation falls somewhere in between the Herald’s methodical heyday and The Bubble’s snarkier millennialism; I sometimes enjoy the latter, but I’ll always miss the former.